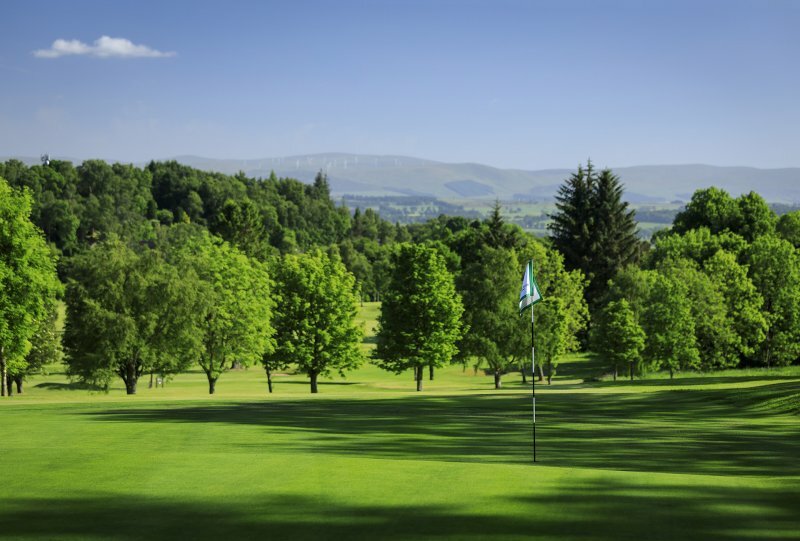 This is a lovely course with stunning views of the Strathearn Valley. 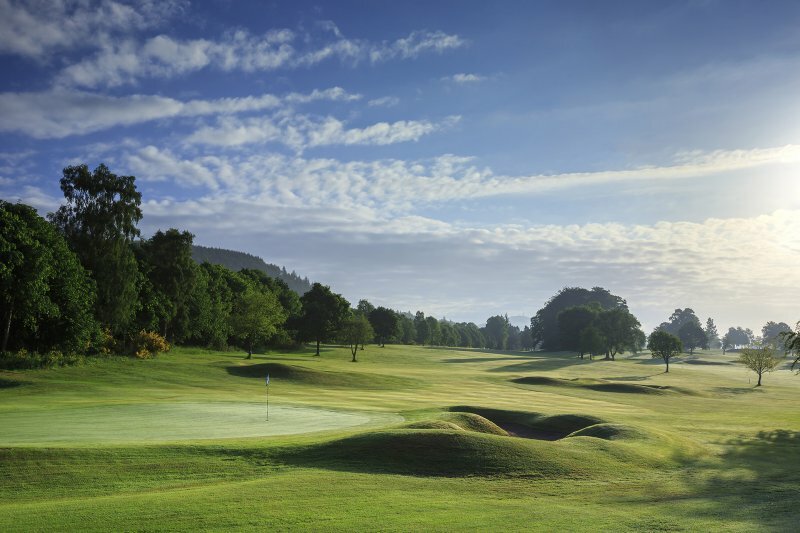 Its relatively wide fairways and a distinct lack of heavy rough should, however, not be taken lightly, as it has a nasty bite at times. 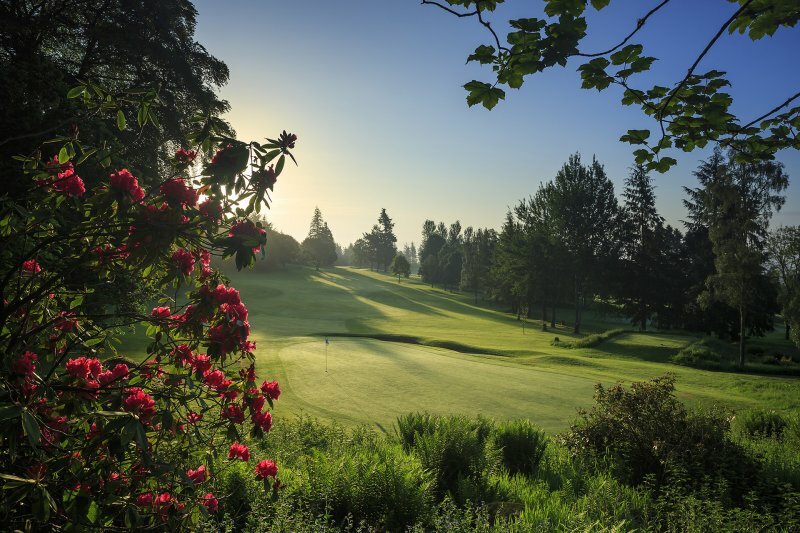 Fast, high quality greens will provide a daunting downhill test. 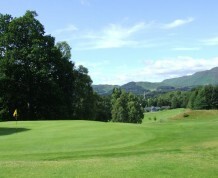 Host to the Scottish PGA Championship Qualifier in 2010 and 2011. 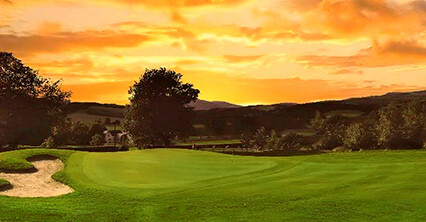 The Virgin Atlantic / PGA Pro-Am Regional Qualifying Course for 2009,2010and 2011. 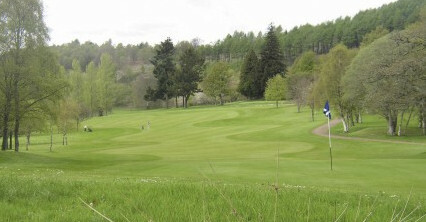 The variety of the holes provide the challenge with all clubs being needed. 3 sets of Gents tees available so choose your degree of difficulty: Red shorter, Yellow medium and White long. 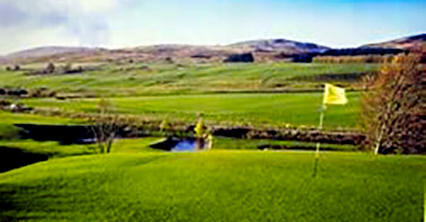 It opens with a par three, a delightful change from the norm.Don't let that full you, though. 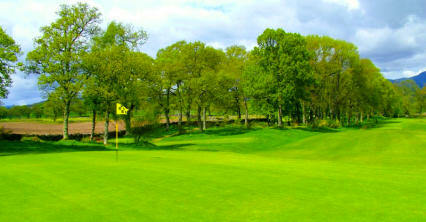 As there are no less than three par fives to contend with on the opening nine holes. 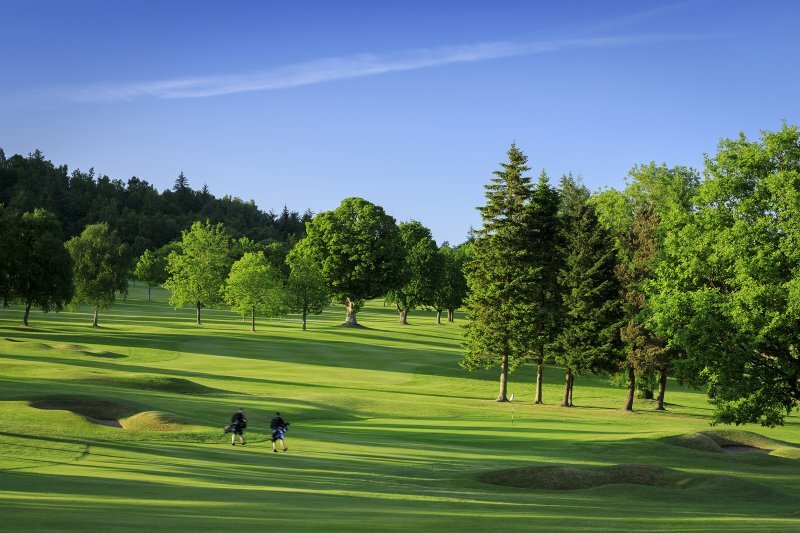 Golf from £20.00. 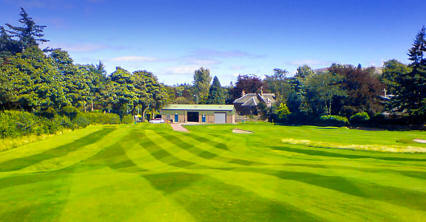 Packages and full meal service available by arrangement with the Pro shop who handle all bookings. Discounts for numbers(8+) and early payment. Membership open to all , with no waiting list. Gents play medals Wednesday and Saturday . Ladies Tuesdays and Sundays.